Best ride ever! Which is cool, except he calls every ride the best ride ever. One of the perks about working where I do is that the team has fun away from the office. 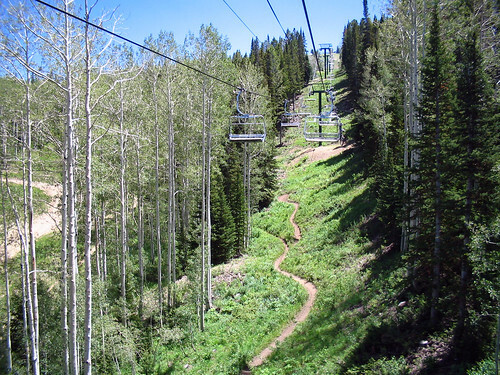 We took the day off and decided to visit the downhill mountain biking options at the near by Deer Valley ski resort. We had a great time! The food was a bit on the expensive side, but the downhill rides were a riot. It's like eating a meal of pure dessert. All the fun of downhill riding without the pain of the uphill climb. One could get quite spoiled by the chair lift.